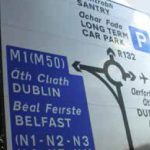 Directional signs need to be clear, concise and informative. With almost three decades of experience in guide signs manufacture, Rennicks offer a manufacturing service that is guaranteed to fulfill each of these requirements. Rennicks also offer a design advisory service and can provide drawings and layouts in accordance with the design rules in the traffic signs manual. 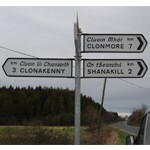 Full colour layouts of signs and support post design can be supplied as part of our service. 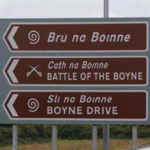 Advance directional signs must convey very specific information in a format that is easily understood by the road user. Rennicks have a proven track record in this regard. Our design team works closely with the client to ensure that the very best solution in guide sign production is achieved in each case. We also offer manufacturing, sign installation, sign cleaning database and maintenance services. Clear information on major arterial roads, upcoming routes and junctions is vital to ensure the safety of all road users. 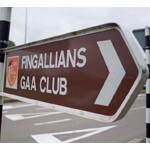 Rennicks offer an unrivalled depth of experience in the design and manufacture of gantry signage throughout Ireland. Our Nikkalite Crystal Grade Microprismatic Sheeting gives superior day and night time contrast, allowing information to be seen earlier by road users in all conditions. We provide the traffic management solutions required and installation capacity to erect gantry signage and other guide signs. 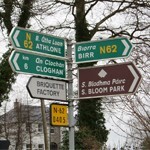 We supply a wide range of fingerpost signs to suit a variety of requirements for guide signs. 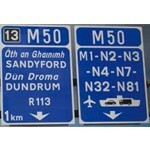 These include single and double destination signs or brown and amenity signs. We also offer design advice on the best solutions available as well as an installation service.